With each Wine of the Month Club shipment you'll receive two (2) different bottles of rare wine many from small award winning wineries around the world. You can select from All Red, All White or Mixed selections each month. We'll deliver them cellar fresh to your home or office. Each month you will receive 2 different bottles of hand-crafted, hard to find wine from around the World. Also you will receive our club newsletter "Wine Expeditions". You will receive your shipment by the 3rd or 4th week of each month. What are some examples of the wine I may receive? We focus on selections that are produced in small quantities and hard to find. Examples are: Nantucket?s Sauvignon Blanc from the U.S., Maletti Lambrusco DI Sorbara from Italy, Agulhas Bank Chardonnay from South Africa, River Falls Cabernet Sauvignon from Chili, First Run Shiraz from Australia and Casal Mendes Vinho Verde from Portugal. How is the wine packaged? To prevent breakage we package the wine in special styrofoam packaging. We deliver the wine thru our network via a Common Carrier. We prefer a daytime office address to ensure timely delivery. You must be 21 or older to receive a wine shipment. An adult signature over 21 is required. Can I choose the wine I receive? No, all the wines are pre-selected for you. Each wine is carefully judged and approved by our tasting panel. You can re-order a list of past selections at discounted prices from our Shoppers Guide. 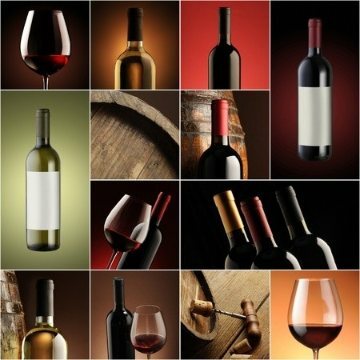 Can I get only red wines? or Can I get only white wines? Yes - You can request All Red or All White or Mixed club selections when you order. There is no extra charge for this. Where do the wines come from? How do I store the wine? Wine should be stored on it?s side in a cool, dark place. The temperature should be constant all year round (preferable under 60 F and humidity over 75%. Opened bottles of wine will only keep up to a week in the refrigerator. What temperature should wine be at when I drink it? Due to the alcoholic content of this gift, an adult signature is required upon delivery. Wine of the month cannot be shipped to AK, HI or UT.